Hatidza Mehmedovic, a vocal activist seeking justice for victims of the Srebrenica massacre, died in capital Sarajevo on Sunday. Hatidza was 66 years old. The head of Mothers of Srebrenica Association was receiving treatment for cancer. She died at a clinic at 7.30 p.m. local time (1730GMT). She will be buried in her hometown of Srebrenica on Wednesday. Mehmedovic dedicated her life - after losing her husband and two sons in the massacre - to raise awareness on the massacre and became a symbol of resistance. “I will no more be a mother,” she had said in the wake of the disaster. 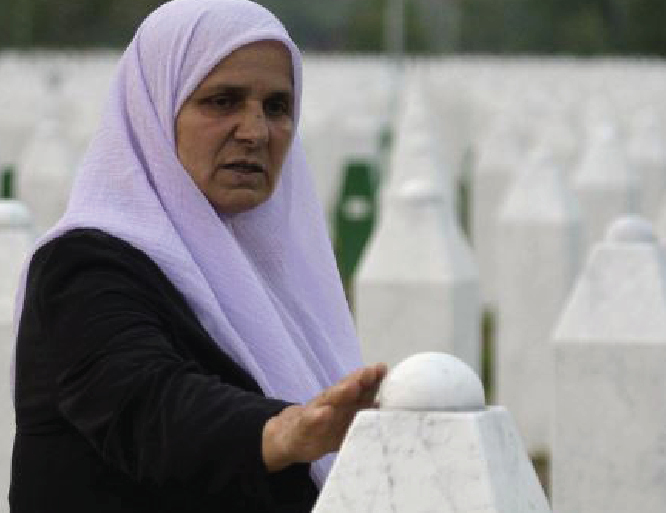 Her association represents the mothers of some 8,000 Muslim men and boys massacred by Serbian forces in 1995. More than 8,000 Bosnian Muslim men and boys were killed after Bosnian Serb forces attacked the UN "safe area" of Srebrenica in July 1995, despite the presence of Dutch troops tasked with acting as international peacekeepers. Hundreds of Bosniak families are still searching for missing people as a large number of victims were thrown into mass graves around the country during the 1992-1995 Bosnian War.